I actually witnessed the little fly get caught in this web. 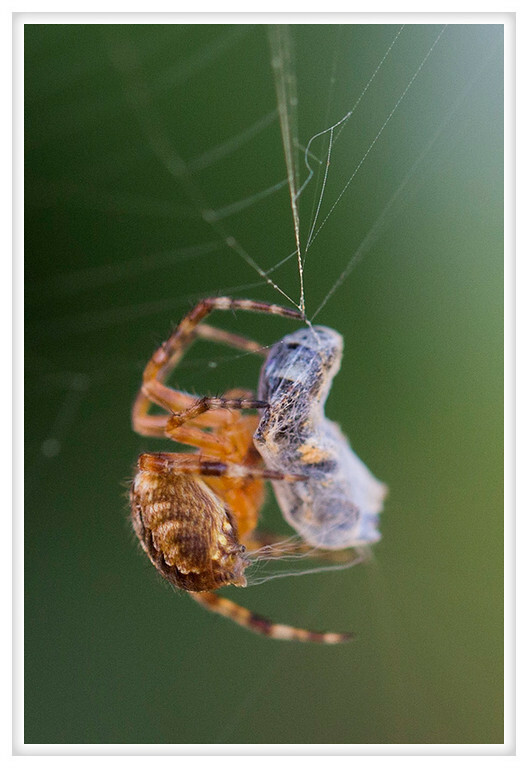 As soon as the fly got caught the spider scrambled down and started wrapping it in silk. You can see the strands as the fly is being enveloped.